Sony today officially launched the lenses shown in prototype form recently at CP+ and long ago talked about in their lens road map: 28mm f/2, 35mm f/1.4 Zeiss, 90mm f/2.8 macro, and the superzoom 24-240mm f/3.5-6.3. The 28mm also supports a wide(r) angle and fisheye converter. 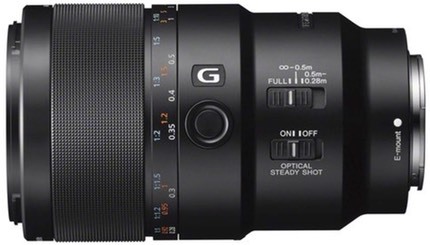 This brings Sony’s FE lineup to 11 lenses that cover the 16-240mm focal range in various forms. The three primes are all good additions to the lineup. The 28mm f/2 finally gives the FE mount a native prime wider than 35mm, and a flexible one, at that, given the two adapters. Don’t expect a lot out of the adapters, though. Early results I’ve seen say they’re weak in the corners. The price is reasonable for this lens, though personally I’d really want a 24mm f/2 before a 28mm f/2. Sony’s options are all tending to “group up” in the FE lineup. We have three lenses (two zooms) at 28mm, two additional prime lenses at 35mm. The only way to get to 24mm at the moment is via a zoom (three options). At the other end of the prime lineup, the 90mm f2/.8 macro is a very welcome addition, finally giving us a very nice true close up lens. Caution: it’s big and heavy compared to the other primes. 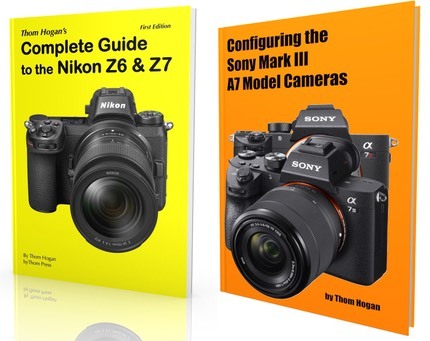 That’s one of the drawbacks to the A7 model line: while the cameras are smaller and lighter than equivalent DSLRs, quite a few lenses are going to end up just as big as equivalent DSLR lenses, canceling out some of the benefits of the smaller camera. To Sony’s credit, they’re emphasizing more modest designs (e.g. f/4 zooms) that mitigate this a bit, plus they’re using constructions that keep lenses a bit lighter than the all-metal approach that used to be used in SLR/DSLR lenses. Still, the 90mm f/2.8 is a largish lens, and I’ve seen DSLR lenses in that focal range that are smaller (e.g. Tamron 90mm). The 24-240mm f/3.5-6.3 zoom is the ubiquitous convenience zoom the camera makers seem to think is necessary for any camera. I’m sure I’ll see people using this on the A7r, but I have to ask “why”? Even the Zeiss 24-70mm f/4 shows some compromises when used on the A7r—it’s a very good lens, but not everything we’d want on the high megapixel sensor cameras—so I expect this new lens to show even more. Still, it’s another option for FE users, and that’s a good thing.